I am not a man with many words to express. 1. 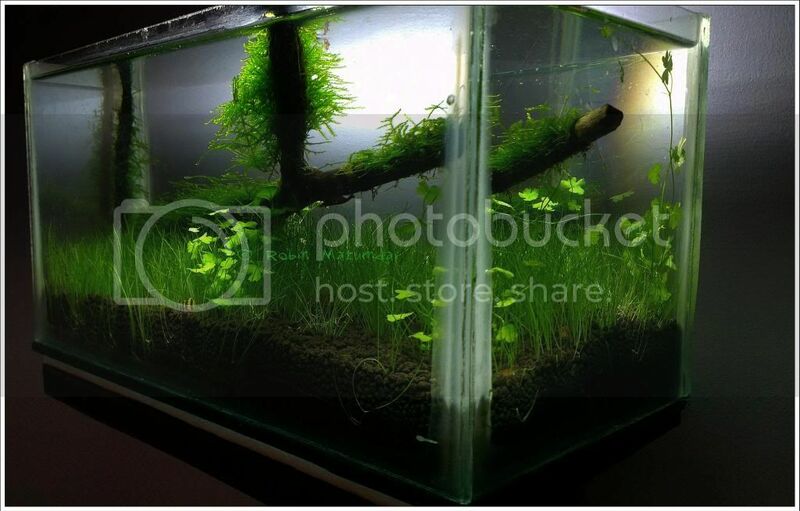 The Grass Garden - my first ever Aquascape tank that took more than 5 months to give the result with a CFL and DIY CO2. 2. The Green Curve - my Second tank now 6 months old, with Pressurized CO2 setup. Expert comments are always welcome, since I do have a long way to go. It is looking good. Well done. The moss may require a bit of trimming to shape perhaps. Tank "The Grass Garden", has now been Obsoleted as it was an experiment, so no trimming can be done. 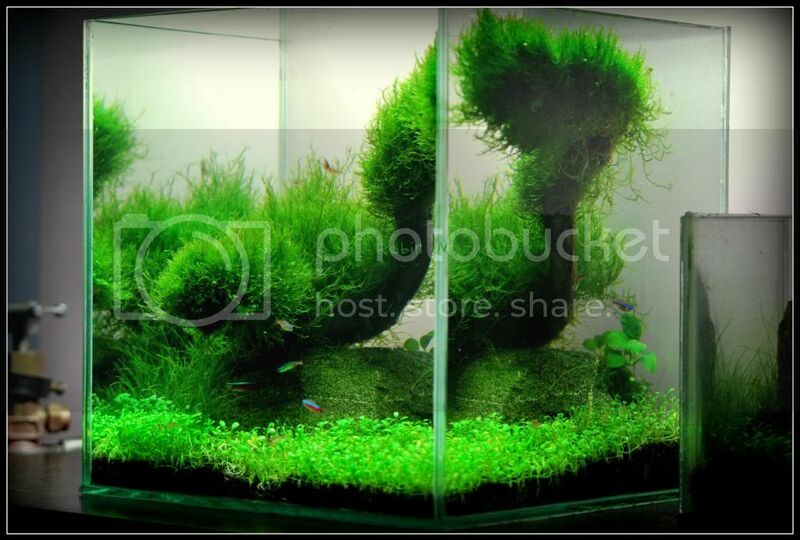 Tank "The Green Curve", I do trim some part of the X-Mass moss, but leave some part to give it a Flame effect. But as you said, trimming is definitely a requirement at some point of time. Your "The Green Curve" is really beautiful. Keep up the good work. So contrary to the popular belief that moss does well with low light and even without pressurised co2, your pictures prove other wise. @tudekh: I would rephrase the common belief to : Moss can survive with low light and even without pressurized co2. The green curve tank looks amazing! Thank You Navneeth. Appreciate your kind comments. The complete green curve package looks wonderful, from the tank size to the driftwood and all that made the pic possible. Appreciate the effort that you have invested in this. Keep this going and sharing!